All of our properties have been paw-picked for their dog friendly features; some will have enclosed gardens, some will have treats on arrival, and some even have dog pampering facilities. Whatever they offer, we have something for every pooch: small, large, multiple, all breeds, even pets of the feline kind – but don’t bark that too loud around here! Right on the shore of the internationally renowned Moray Firth coast is the newly created Sail Loft, recently awarded 4 star hostel status by VisitScotland. This brand new self-catering accommodation facility offers 25 luxurious beds and bunks and boasts a carefully designed modern open-plan communal kitchen, dining area and lounge, laundrette, drying room, secure cycle storage and wash-down area. Our walled garden features BBQ facilities and a wood burning hot tub! 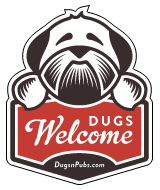 There are a total of 16 dog friendly listings in the Featured Hotel category. Please log in, or sign up as a member to view all listings.